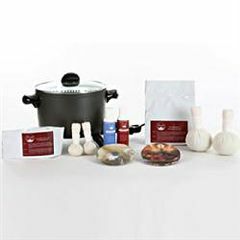 AllegroMedical.com presents The Sa-Wan Taste Of Paradise Thai Herbal Ball Kit. Experience a taste of paradise with new Sa-Wan Thai Herbal Ball Kit. A traditional Thai massage treatment which combines Swedish massage strokes and Thai stretching with warm herbal balls to help relax, detoxify, increase blood flow and stimulate the lymphatic fluid. The muslin balls are filled with Thai herbs and spices including lemongrass, turmeric, prai, kaffir lime, camphor, and tamarind.